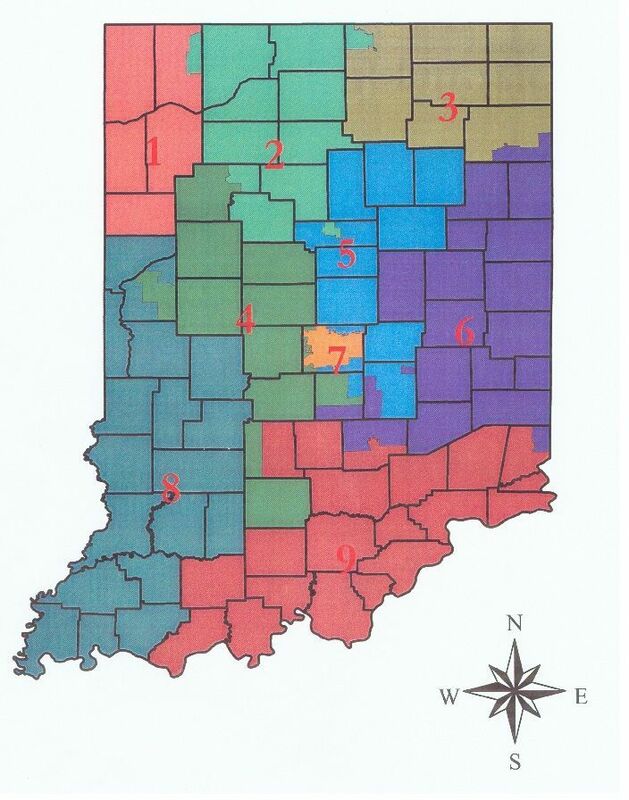 Below is the map of Indiana Congressional districts drawn by Democrats in the Indiana House of Representatives. Take a look at the 4th District. Bedford, Indiana is in Lawrence County, which is directly south of Monroe County. Bloomington, Indiana is in Monroe County, and is home to Indiana University. Bedford is in southern tip of the 4th District, the same Congressional district as Purdue University. Bedford is not in the same district as IU. Does this make sense to you?